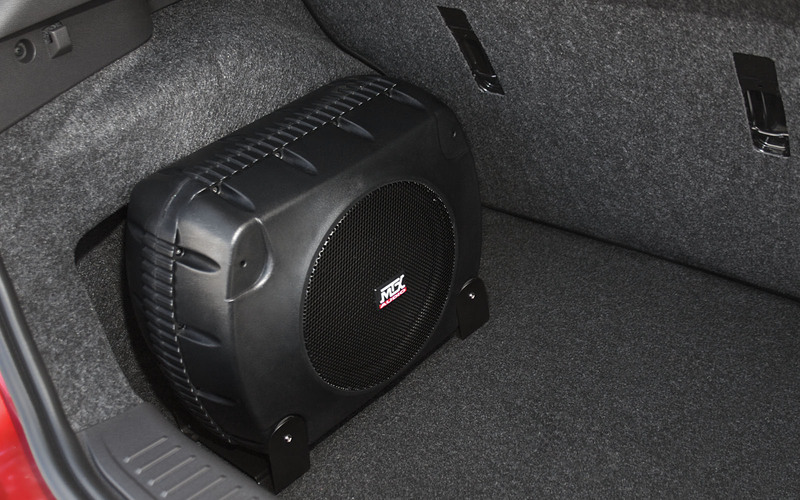 The killer XTL110P amplified and enclosed car subwoofer is the easiest way to add good bass to any car, boat, UTV, or other vehicle that gets you around. This unique all-in-one solution has everything you need to get concert style bass anywhere you go. Just wire to your deck and battery... and it is small enough to fit conveniently in your trunk, the back of your SUV or wagon or just about anywhere else you can set it to stay. 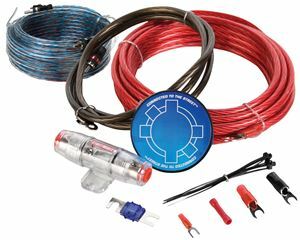 Consider adding an amp kit, interconnects and speaker wire to your cart (shown below). Small size, but giant bass! "I have been using MTX products for over ten years now and The craftsmanship is second to none. 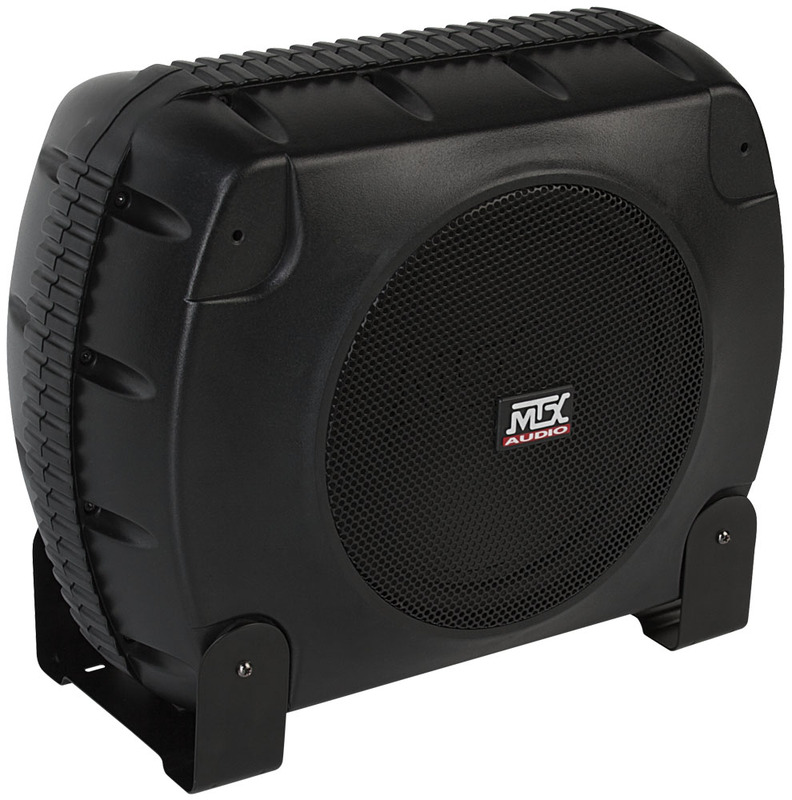 I am totally satisfied with the performance and sound quality and would strongly recommend..."
XTL110P Quality - Built To Rock! This compact, amplified enclosure features a low profile design that allows it to fit in almost any space. The integrated amplifier delivers 135-watts RMS power to the included 10" subwoofer. 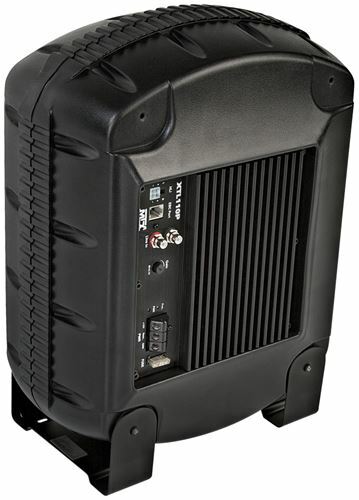 The amplifier feature set includes gain control, high and low level inputs, and an optional external bass control can be purchased and added to the system for level adjustment from the driver's seat. 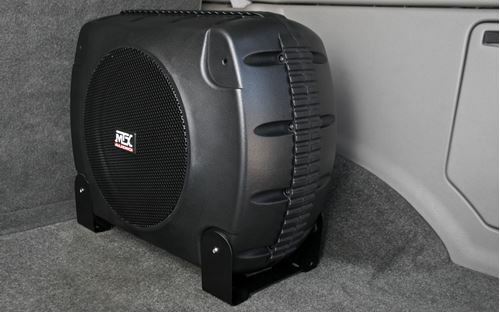 The hard-hitting 10" subwoofer has a polyproylene cone which is weather proof and offers excellent sensitivity to deliver clear distortion free bass. 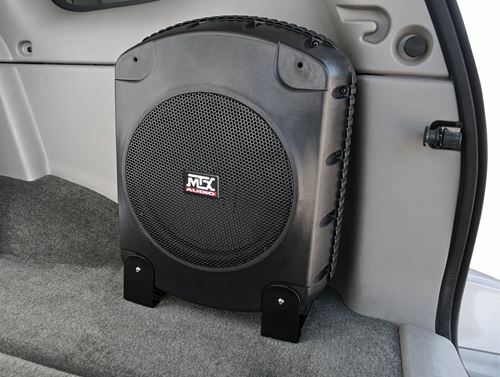 A metal grill covers and protects the woofer from things like tools, strollers, groceries, wakeboards, flip flops, etc., all the dangers that are around trunks and other places. The enclosure is made from high density platic that is extremely durable but also lightweight so it does not add a lot of weight where it could affect your gas mileage. Coupled with a StreetWires 8 gauge amplifier kit and some RCA interconnects, the XTL110P is the perfect way to add bass to your system. 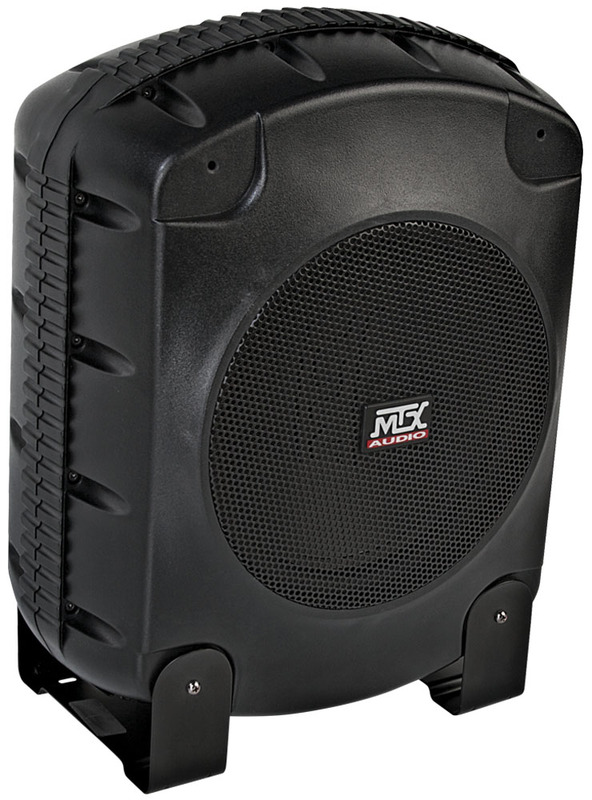 The MTX 30 day money back guarantee and 2 year warranty make it a risk free investment in better sound. Get yours today.